Hi Everyone!! 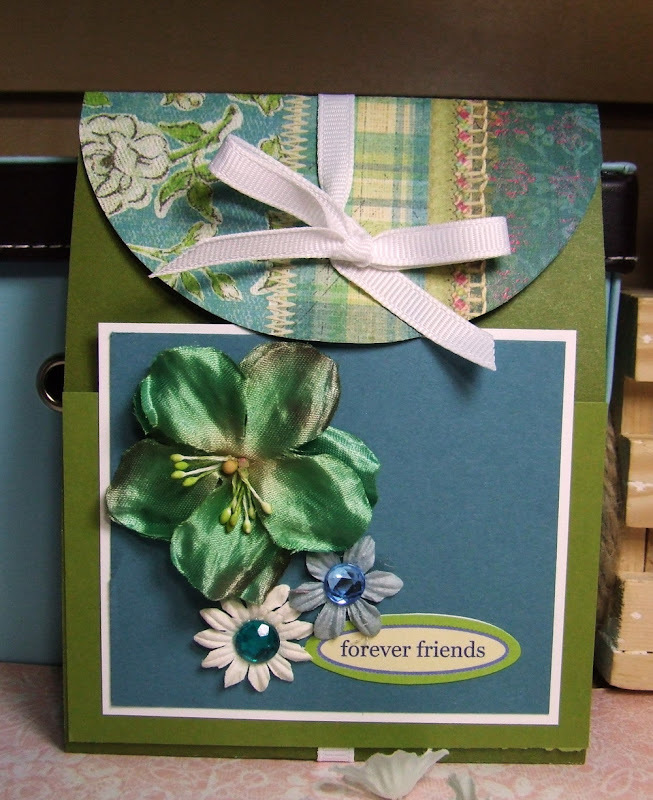 Just a flap card I made today using scrapbook embellishments. I wasn't feeling well yesterday but I feel better today. The only problem I had today was that I had a major headache all day but I did manage to create something. I haven't made a scrappy card for a while now. . .I've been having so much fun making mini albums that I've been neglecting making scrappy cards. Anyway, this post is going to be short. I feel tired. I think I'm going to sit down and watch TV with my husband tonight rather than craft. Before I go. . .do you see the pretty flower? 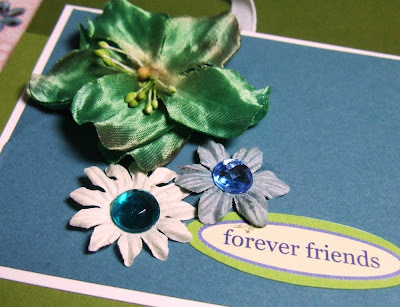 Well, that's the pretty flower that Mel of Mel Stampz sent me. . .isn't it gorgeous? Thanks Mel!! I'm slowly using the stuff you sent me. . .they are all so pretty. 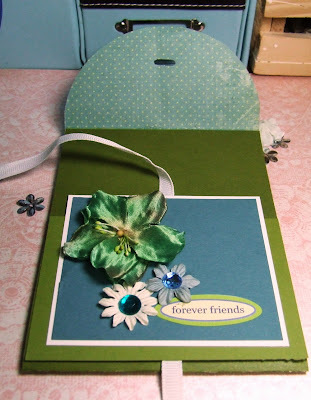 Luv your flap card & those flowers are so pretty!!! Hope you feel better soon! Your Flap Card is so pretty Maria! The DP, the sewing and the flowers are awesome! I truly hope that you are feeling better soon. This is so very pretty!!! I'm a few days late, but Hope you are feeling much better today Maria. LOVE THE CARD. LUCKY YOU GETTING ALL THOSE FAB GOODIES FROM MEL. Love your flap card, love your colors always so pretty. I love the color combo you used, and the bling that matches!